Berkeley Rep celebrates the renaming of their theatre. 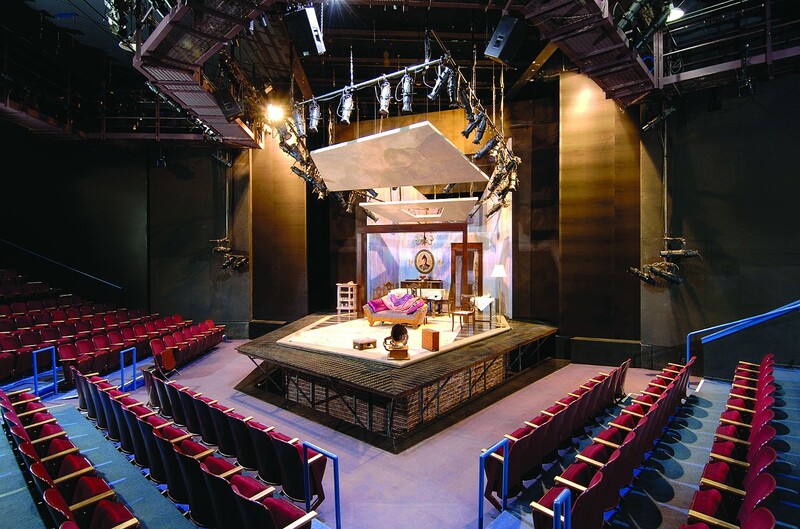 Although Berkeley Rep first found its permanent home in Berkeley (2071 Addison St.) in 1980, the theater formerly known as the Thrust Stage is now being renamed Peet’s Theatre in recognition of the theater company’s new partnership with Peet’s Coffee & Tea. To celebrate the grand opening of the newly named venue, Berkeley Rep will throw open its doors on Saturday, January 9 for a day of free activities. The event includes backstage tours of the theater, Peet’s coffee tastings, a photo booth with Berkeley Rep costumes, food trucks, and Mad Libs playwriting. Attendees can also see a demonstration of Meyer Sound’s cutting edge Constellation Acoustic System, perform a part on stage, meet local playwrights, and participate in theater workshops on a range of topics including stage combat with Dave Maier, improvisation with Bobby August, and story creation with Anthony Jackson.